As you grow and change and as styles come and go, you may want to add upgrades or improvements to your home. The problem is, these can cost a lot and consume a lot of time. 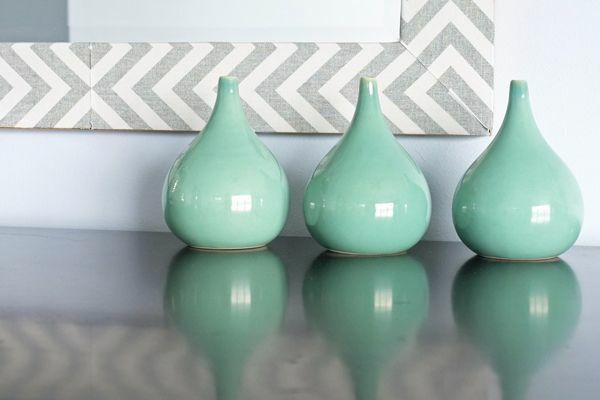 Go the simple route with some easy DIY ways to give your home a quick makeover without the hassles. 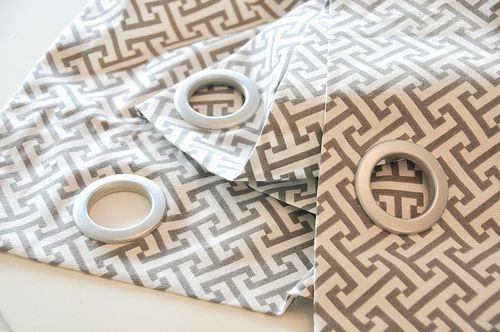 Grommets are the secret to crafting cute drapes without a lot of hassle, and you don't need a sewing machine to make great window coverings. 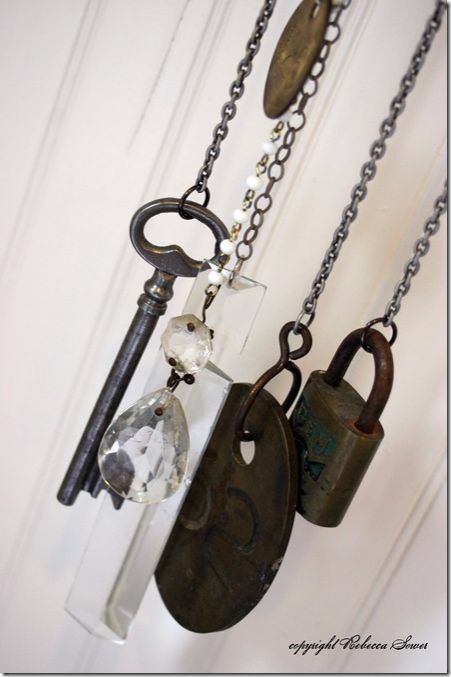 Clean out your drawers and find some rustic items to add to a junk windchime, that looks like you could have paid top dollar for at a shabby chic boutique! 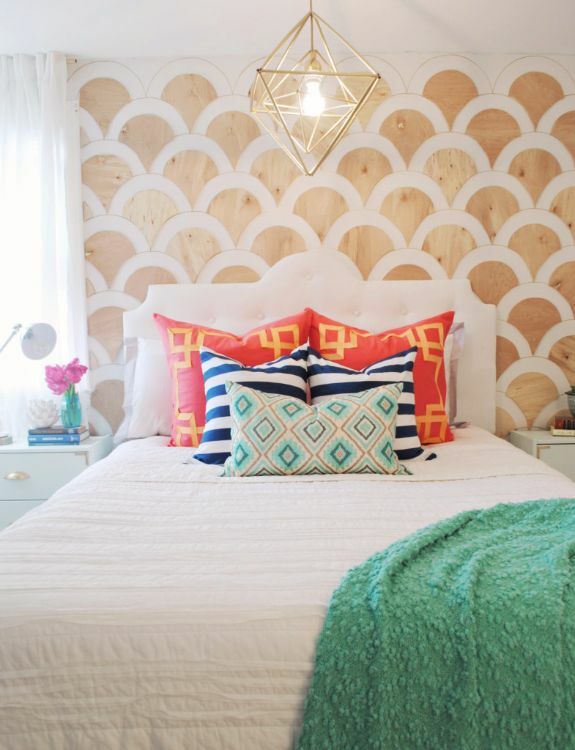 Divide a room or use it as a backdrop for your bed. 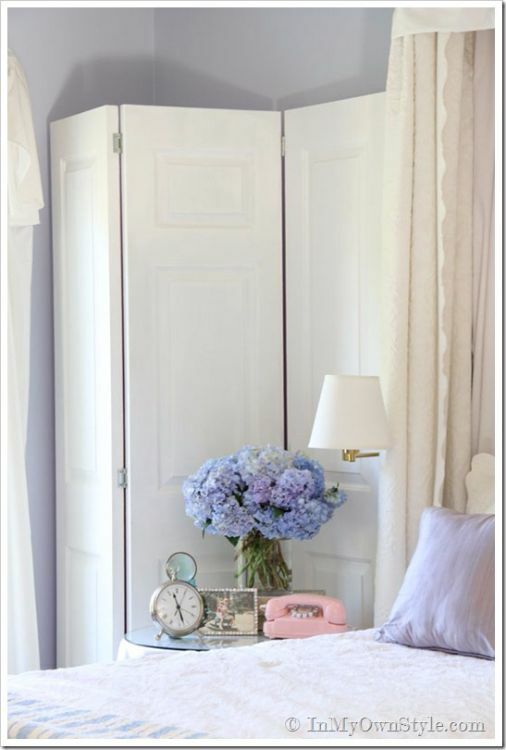 Folding screens have multiple uses, and using vintage doors makes it look charming and rustic. A wooden crate transforms into a cute and cozy side table. 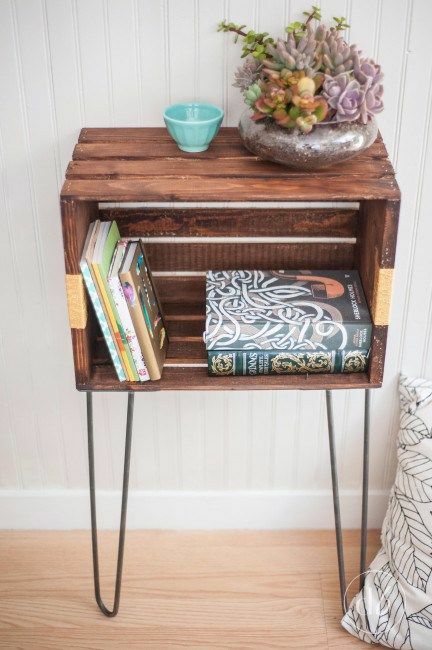 This is a great way to repurpose your old wooden crates. Soften the look of a wooden mirror by covering the frame with the fabric of your choice for a designer look. 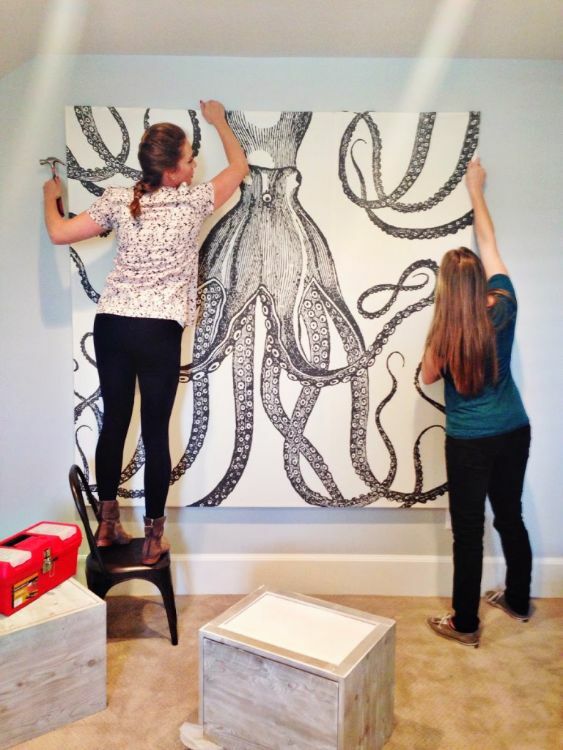 A cool shower curtain becomes a focal piece in your living room when you convert it to artwork. 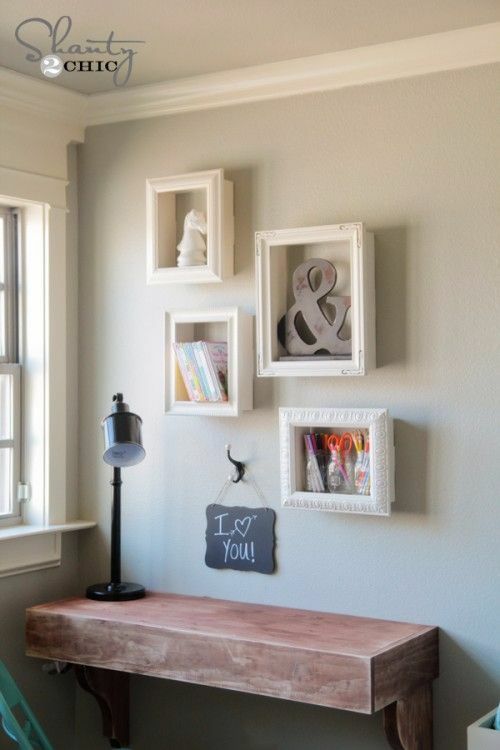 Use wooden frames to make clever and cute shelves that can hold everything from books to knickknacks. 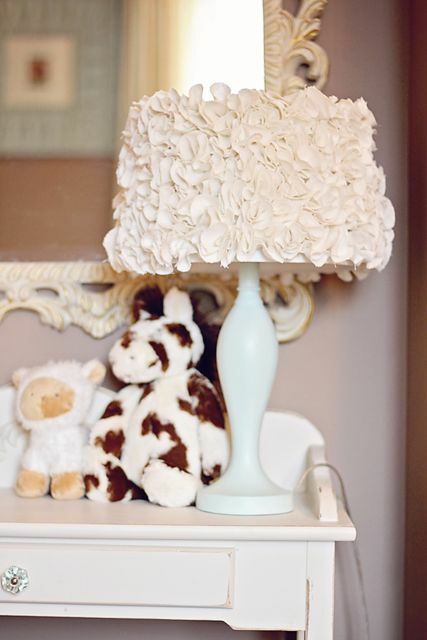 Skip the cost of a high-end lamp from a boutique and create your own ruffled, tufted lamp for an adorable shabby look. Enhance any end table or night stand with this eye-catching lamp. 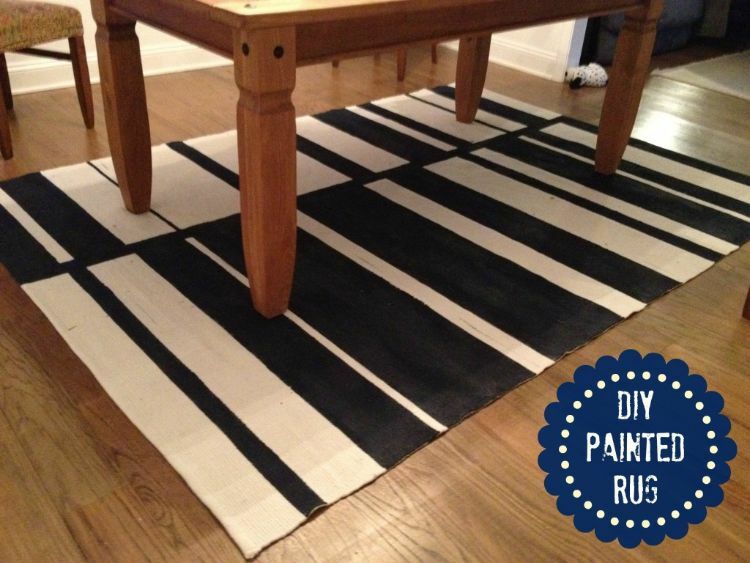 Turn a plain rug into something a little more interesting with paint. You may not have thought of painting a rug, but the results are stunning and look professional! Change the look of your bedroom with a classy DIY that's simple and looks great. Fabric headboards are a chic and stylish addition to your bed. 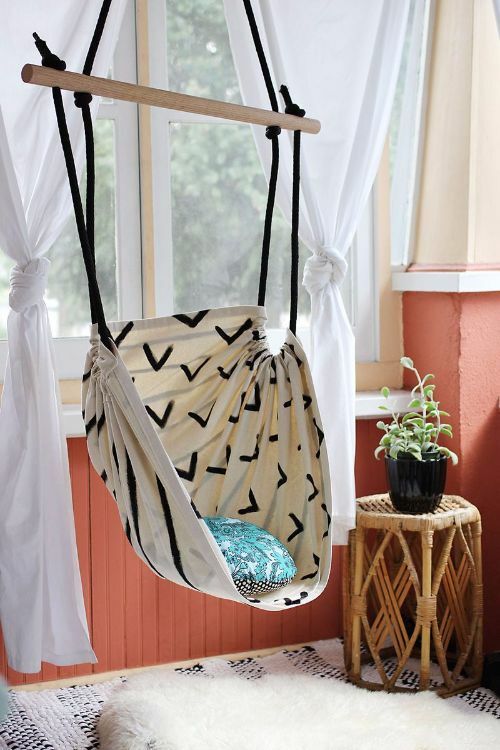 Create a cozy reading nook by installing this DIY hammock chair into any corner. Perfect for kids, this is a fun spot to spend time relaxing. 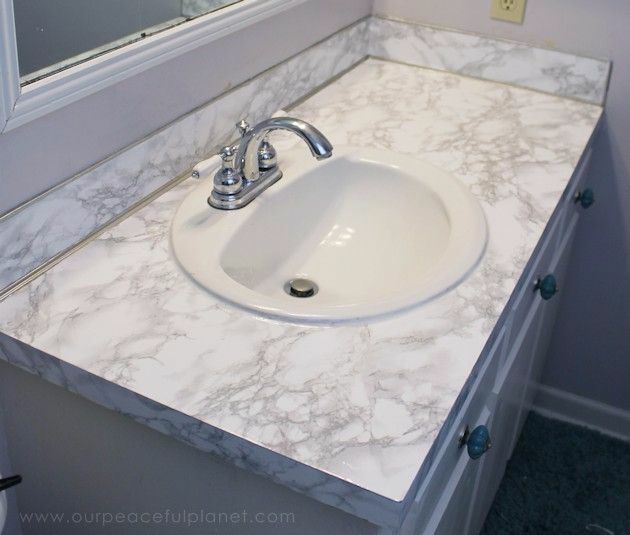 Turn an old countertop into a fresh, modern one using contact paper! 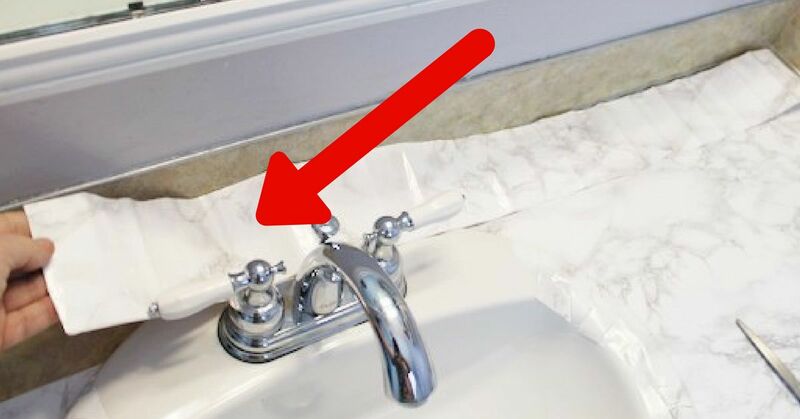 Easy and simple, this DIY changes the look of your whole bathroom on a dime.